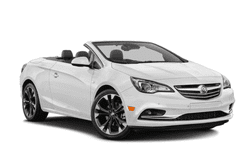 The Cascada by Opel is a good car, and a stylish one that has all the elegance and flare you want plus all the comfort and safety that you need. The fabric roof cuts a well-tailored silhouette. Inside, the dash is wrapped in stitched leather, and the rest of the cabin is just as impressive! With custom features and options, you can get everything you want and nothing you don’t want. When you are in need of a quality and reliable rental car, the Opel Cascada is here to deliver and is sure to impress. Check it out today for yourself and make your rental reservations while this impressive vehicle is still available. It is possible to get both elegance and comfort, you just have to know where to look!